ClimateGuard products have been locally manufactured in Chicago since 1975. 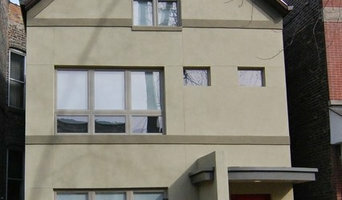 We custom build premium windows & doors in a variety of styles & available features to suit any project, on any budget! With over 20 years of expertise in the construction industry, I can solve any problem big and small. I sincerely stand behind my work and take pride in providing quality, experienced craftsmanship. From stamped patios and custom driveways to concrete countertops and polished floors, your finished project will be completed with the highest level of professionalism and pride. Protective sealers are always applied and you can expect any project to be completed efficiently and promptly. I look forward to being your go-to Handyman and Concrete Professional. A Different Kind of Handyman Service - Honest, transparent, professional service with respect for your time and money. No job is too small, and we can often estimate, book and start work on your project same day. We are committed to exceptional service end to end. Head to www.fixer.com to chat or book with us today. Note: We serve city of Chicago only. Specializing in Commercial & Residential Storefront Repairs and Renovations, Residential Window Glass Repairs and Replacement, Custom Glass & Mirrors and Emergency Glass Services. Welcome to the Chi-Town Family…. and ….Thank you for taking time to view our web site . Within this web site we at Chi-Town Best Windows and home improvement have taken time to give you some important insights about our products and also to show you exactly what we can do to improve your home’s appearance . Making your home more energy efficient and also giving you the best deal there is. We at Chi-town Best Windows and home improvement take pride in our workmanship and treat your home like it was our own. 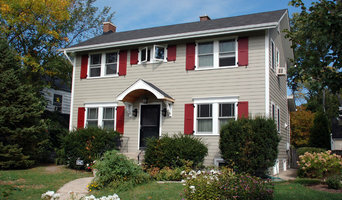 Family owned since 1973, our experienced teams of skilled professionals have been providing expert installation of premium quality siding, windows, aluminum trim, patio doors, entry door systems, and gutter protection systems for countless satisfied customers. Sunshine Siding and Window Company uses the best products available from Milgard Windows & Doors, Alside Building Products, Alliance Window Systems, Simonton Windows, and Crane Performance Siding. Naturally, our craftsmen are also happy to supply and install any product from the company of your choice. *Authorized Pella Platinum Certified Contractor* The words that best describe us are: quality products, professional installation, and service orientation. Window and Door Superstore of Oak Forest has specialized in these specific products for more than 25 years. Our three full-time employee owners and our staff have at least that much experience in the industry. The Window and Door Superstore has been in continuous operation in Oak Forest since 1991. The present management team and ownership has been in place since 2000, when we opened a new showroom and focused our energies on the sale, installation and service of higher-end products. We specialized further in 2000, focusing on high-end, custom-production windows and doors. As a result, we have long and deep relationships in the industry. We can get almost any door made. Helping homeowners with the details that make a home distinctive is our goal. We’ve found that doing one thing very well offers the most benefit to our customers, without whom we could not exist. Over the economic downturn, many suppliers had to close their own doors, but not Window and Door Superstore. Our customers stayed committed to us, and we stay committed to them and were able to grow during the recession. Perhaps the most important thing to know about us is that the vast majority of our customers return. They come back to us because of the quality of the product, the quality of the installation and the knowledge of the people in the showroom. They trust us because we are more interested in developing a relationship with them for life than in selling a particular item. Windows are one of those smaller details that actually have a big impact on the overall aesthetic, security and comfort level of a home. So when it comes to Chicago window repair, it’s better to turn to a professional rather than attempt a DIY fix. Whether you cracked the window pane or the frame needs some tending to, a window repair professional in Chicago, IL can make your window look brand new again.